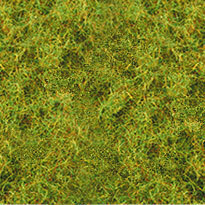 2mm Dry Grass Pull-Apart Grass is a 2mm tall grass material that is supported on a nearly invisible backing. 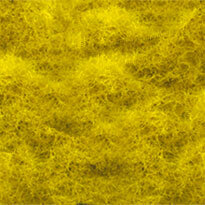 It may be placed as is or pulled apart and blended with other static grasses or ground foam and soil scenic textures. Each sheet measures approximately 11" x 5½". 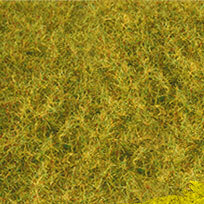 2mm Golden Pull-Apart Static Grass is a fine 2mm tall grass material that is supported on a nearly invisible backing. It may be placed as is or pulled apart and blended with other grasses or ground foam and soil scenic textures. Each sheet measures approximately 11" x 5½". 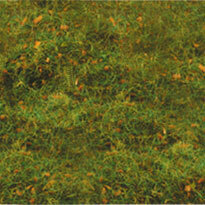 Medium Green Pull-Apart Static Grass is a 2mm tall grass material that is supported on a nearly invisible backing. It may be placed as is or pulled apart and blended with other grasses or ground foam and soil scenic textures. Each sheet measures approximately 11" x 5½". Package in a convenient self-closing clam shell. 2mm Pull-Apart Light Green Static Grass - 2mm tall grass material that is supported on a nearly invisible backing. It may be placed as is or pulled apart and blended with other grasses or ground foam and soil scenic textures. Each sheet measures approximately 11" x 5½". Comes in a convenient self-closing clam shell. Alpine Meadow DecoGrass is a fine 2mm tall blend of medium green tone and golden grass with leaf litter debris material that is supported on a nearly invisible backing. It may be placed as is or pulled apart and blended with other DecoGrass or ground foam and soil scenic textures. Each sheet measures approximately 11" x 5½". 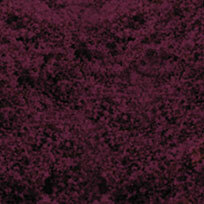 Burgundy Mule DecoGrass - Medium green tone with burgundy foam flower on top surface. 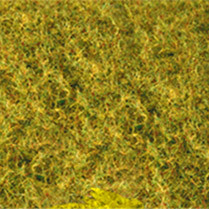 Dry Grass Tone DecoGrass is a fine 2mm tall blend of burnt green tibes with gold and brown highlight grass material that is supported on a nearly invisible backing. It may be placed as is or pulled apart and blended with other DecoGrass or ground foam and soil scenic textures. Each sheet measures approximately 11" x 5½". 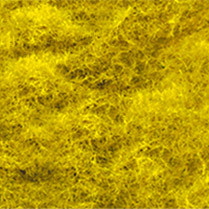 Golden Grass Tone DecoGrass - Dry golden grass field with mustard tone highlights. 2mm tall grass supported on a nearly invisible backing. Place as is or pull apart and blend with other DecoGrass, ground foams and/or soil scenic textures. Each sheet measures approximately 11" x 5½". Goldenrod (Mustard Seed Tone) DecoGrass is a fine 2mm tall grass material that is supported on a nearly invisible backing. 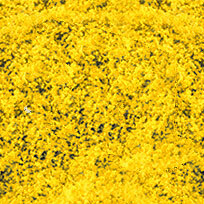 Medium green tone base with a yellow (mustard) foam flower on top. IIt may be placed as is or pulled apart and blended with other DecoGrass or ground foam and soil scenic textures. Light Green DecoGrass is a fine 2mm tall blend of lighter tone greens with gold highlights grass material that is supported on a nearly invisible backing. It may be placed as is or pulled apart and blended with other DecoGrass or ground foam and soil scenic textures. Each sheet measures approximately 11" x 5½". Medium Green DecoGrass is a fine 2mm tall blend of medium and darker tone greens with subtle brown tone grass material that is supported on a nearly invisible backing. 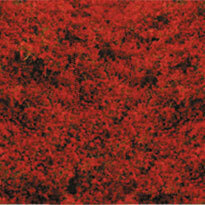 It may be placed as is or pulled apart and blended with other DecoGrass or ground foam and soil scenic textures. Each sheet measures approximately 11" x 5½". 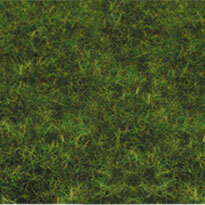 DecoGrass is a fine 2mm grass material that is supported on a nearly invisible backing. It may be placed as is, or pulled apart and blended with other DecoGrass or gound foam and soil scenic textures. Multi-use adhesive. Clear matte finish. Flexible, thick & strong-holding. Water-soluable & Non-toxic. 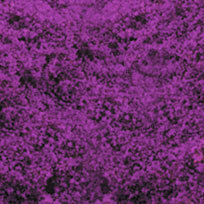 Wild Violet DecoGrass - Medium green tone base with violet foam flower on top surface.